Rhodes University is happy to offer one of its fellowships, the The Hugh le May Fellowship for researchers from Africa and outside Africa. The fellowship is for between a three to six month period. The Hugh le May Fellowship is available in alternate years to senior scholars who wish to devote themselves to advanced work in any one of the fields or subjects listed below. Applications are invited for the year 2019 Fellowship. Eligible candidates interested in applying for this fellowship programme are encouraged to send in their applications. The Hugh le May Fellowship is for senior scholars wishing to devote themselves to advanced work in any one of the approved course disciplines. Where there is no applicant of sufficient merit in any of the approved disciplines, the Fellowship may be awarded to an applicant in another discipline within the Faculty of Humanities. The Fellowship is of between three and six months duration. The successful applicant will be expected to take up residence in Grahamstown for such period between 1 January and 31 December 2019. The length of the Fellowship my be extended by mutual agreement and subject to the availability of funds. R5000.00 monthly cash stipend to supplement the Fellow’s usual source of income, or if accompanied by a partner R7500.00 per month cash stipend. The Fellow will be given internet access, use of the University library and sport facilities, and will be an honorary member of staff for the duration of the Fellowship. The Fellow will not be expected to undertake any teaching duties. The mode of application is online by downloading the application form, and sending by email; or by contacting the Research Office. Details are as follows: Telephone -- +27 (46) 603 8936 or email address -- research-admin@ru.ac.za). ONLY QUALIFIED APPLICANTS SHOULD APPLY i.e. IF YOU HAVE OBTAINED YOUR PHD IN THE LAST 5 YEARS PLEASE DO NOT SUBMIT AN APPLICATION. RATHER APPLY FOR THE RHODES UNIVERSITY POST-DOCTORAL FELLOWHIP, or THE ANDREW W. MELLON POST-DOCTORAL FELLOWSHIP. At the conclusion of the Fellowship, the Fellow will be required to present a report on the work undertaken. 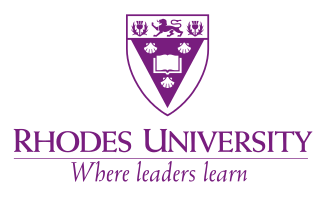 The Fellow will be required to appropriately acknowledge the Fellowship and Rhodes University in all publications emanating from the period of the Fellowship.